Toys, toys everywhere and not a spot of floor to be seen. That’s what it feels like most days in my house anyway. I have numerous boxes, stacking systems, hanging shelves – you name it I’ve tried it in an attempt to keep things tidy. But I have never seen a storage system quite as stylish as this one. 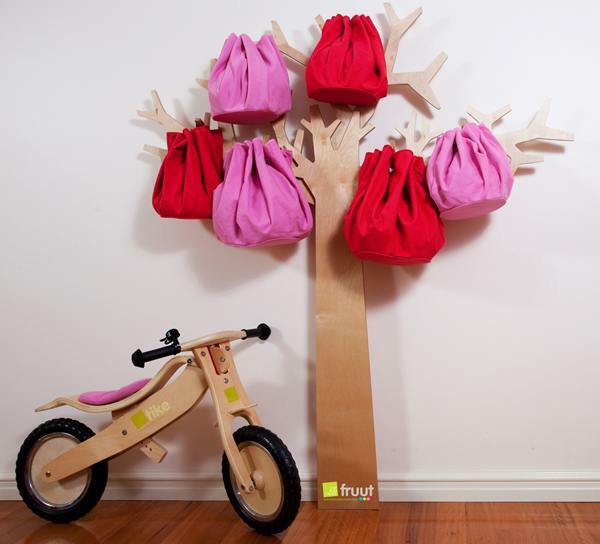 The Fruut Tree Storage System promises to revolutionise home storage. The tree, made from sustainable birch wood, can be fixed to the wall and looks pretty good on its own. 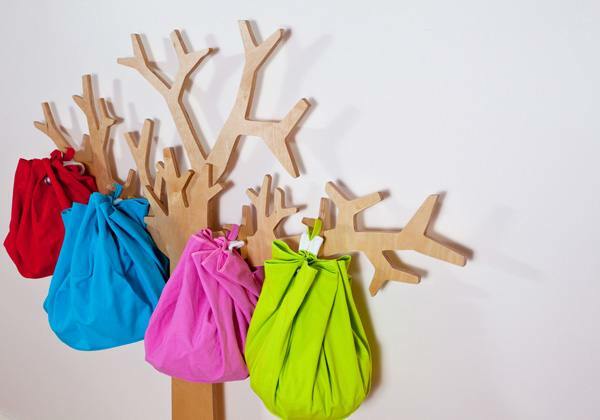 You can hang anything you want from its branches, but for super size, great-looking storage you can get the Fruut Saks. These come in three sizes and four vibrant colours. The thing I love about these is that they fold out into playmats so you can just scoop up everything after playing and hang them neatly back on your tree! They also make great bags to take out and about too. This seems like a good buy to me, it has lots of uses – maybe as a cool Christmas tree or coat rack too. Each tree costs $295 and the smallest Sak is $37.95 plus shipping. Available from local stockist Happy Little Hippos.